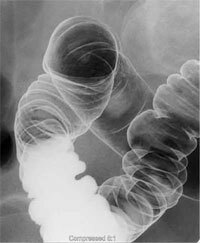 "Upper gastrointestinal tract radiography, also called an upper GI, is an x-ray examination of the esophagus, stomach and first part of the small intestine (also known as the duodenum). 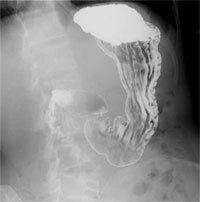 Images are produced using a special form of x-ray called fluoroscopy and an orally ingested contrast material such as barium." 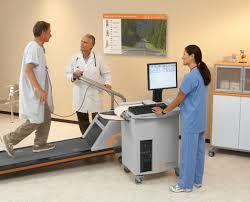 "Fluoroscopy makes it possible to see internal organs in motion. 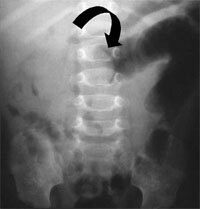 When the upper GI tract is coated with barium, the radiologist is able to view and assess the anatomy and function of the esophagus, stomach and duodenum." "Mild irritation of the lining of the stomach or esophagus is difficult to detect, as well as ulcers smaller than 1/4 inch in diameter. The test will detect larger ulcers. It can also suggest the presence of underlying infection with the bacterium, Helicobacter pylori, the most common cause of ulcers; but additional noninvasive tests such as a blood test or breath test may be required to confirm this infection. Finally, biopsies of any abnormal areas cannot be performed with this test." 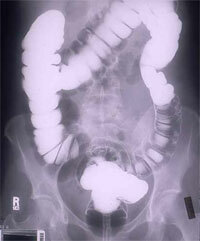 "An intravenous pyelogram (IVP) is an x-ray examination of the kidneys, ureters and urinary bladder that uses iodinated contrast material injected into veins." "When a contrast material is injected into a vein in the patient's arm, it travels through the blood stream and collects in the kidneys and urinary tract, turning these areas bright white on the x-ray images. 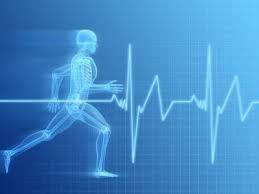 An IVP allows theradiologist to view and assess the anatomy and function of the kidneys, ureters and the bladder." 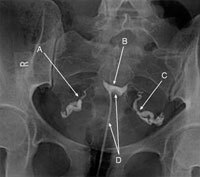 "Hysterosalpingography, also called uterosalpingography, is an x-ray examination of a woman's uterus and fallopian tubes that uses a special form of x-ray called fluoroscopy and a contrast material."